The seas are graced with the continual ghostly presence of the ship, the “Merry Maiden,” whose crew and passengers all mysteriously went missing fifty-seven years ago. Not one single sign of them have been found since. It is thought that the ship passed through some type of magnetic field that transported the passengers and crew to a different time and space. 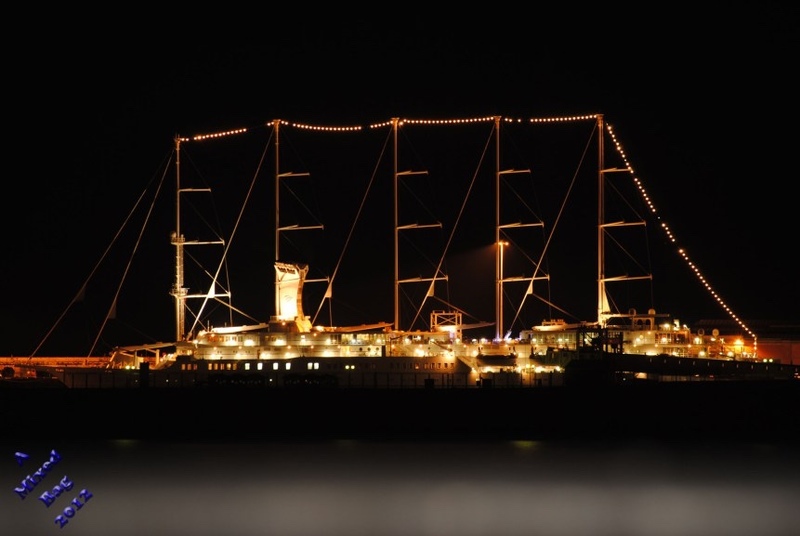 As the ship continues its voyage, the lights come on at the exact same time every night and beautiful piano music along with laughter and various chatter can be heard coming from the ship. Everyone that boards the Merry Maiden cannot find one single soul aboard. Because it is believed the passengers and crew are still aboard the ship, residing in a different time, the ship is left alone to cruise the seas and continue their “maiden” voyage. Perhaps one day they will return the same way they left. 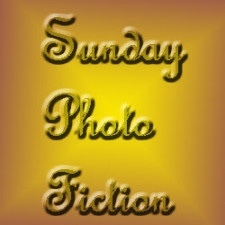 Thank you to Alistair Forbes for hosting the Sunday Photo Fiction challenge and providing our prompt photo this week. Alistair gives us the prompt photo and approximately 100-200 words with which we write our stories and share them on the InLinkz Grid. This challenge is open to all who want to participate. For more information, please click here. To read the wonderful stories by amazing writers, please click here. What a neat story. I always have loved stories about lost ships and tales of ghost ships still wandering the seas. Great post. What a great story. I have always loved tales of lost ships and especially ghost ships doomed to wander the seas. I just saw the repeat of a Star Trek where Number 1, Worf and Data visited a plant that was stuck in a book sort of like a casino royal murder mystery. Slightly different from your take – which also reminds me of other ghost ship stories. Thanks Jorbi! That really makes my day! I’m not surprised that ours are somewhat alike but I can tell you even before I read yours that yours will 100X better than mine! LOL! What a lovely yet eerie story. I sense the Bermuda Triangle might have had something to do with it? I though about the Bermuda Triangle when I was writing it so, yes. I would say, yes! Thank you Francesca. Makes me want to see the ship and hear the music playing! Great story! Wouldn’t it be fun to climb aboard and see what happens next? ::noodge hint:: Always love a good ghost ship tale! Thank you Dave! Yes, it would be fun to watch and listen to the ghosts. I’m interested in good ghost tales. Oh Priceless!! I love this one!!!! I often think it would be rather nice to be ‘out of time’ but of course you wouldn’t know so wouldn’t be able to compare to any other version of reality. It almost reads as a piece of history too 🙂 Well done. Thank you so much Linda, I appreciate your comment. Pleasing to read and the photo really suits. Shades of the ‘Mary Celeste’ mystery. Is Mary Celeste a ship? The Mary Celeste was an American two masted sailing ship that was found sailing near the Azores islands with no crew or passengers on board, I think in December 1870 or so. The mystery of what happened has never been solved. Your story reminded me of it. That is interesting! I don’t remember hearing about it, or if I did, it was a long time ago when I had memory. LOL! What a great story. I never heard of the Mary Celeste either. I know! I love that story though, of Mary Celeste! Yes it is! I would like to learn more about this ghost ship.